DALI Zensor 3 review | What Hi-Fi? Yes, to put it simply. 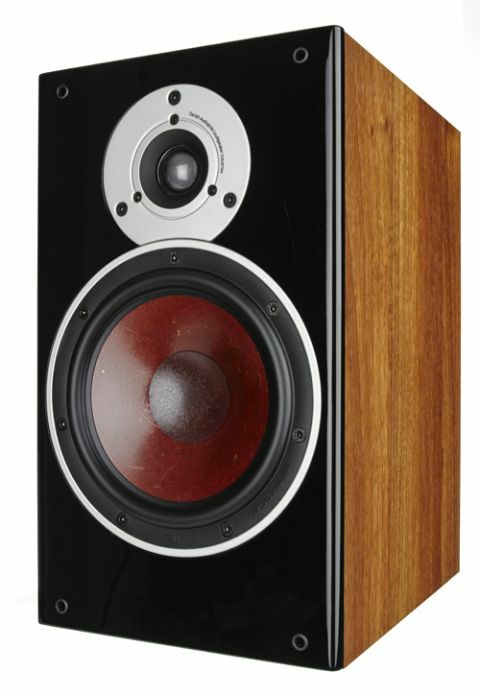 These are stonkingly good speakers. They’re engaging and enjoyable enough that we found ourselves going through entire albums at a time, nearly forgetting that we were meant to be testing them. Out of the box, the Zensor 3s don’t sound as tightly controlled as they should be, and the bass gets a little messy. Give them a good long run-in – a weekend will do – and you’re in for a treat. The first thing that strikes you is the scale. The soundstage is wide open, and there’s ample headroom too. For those who like their speakers toed-in: don’t. The Zensor 3s prefer to fire straight ahead, rather than inwards. Sound is nicely dispersed, and the presentation is airy. It’s a balanced sound. There’s a crisp top-end and a sweet midrange. The bass response is stunning for the size of the cabinets: there’s plenty of deep, tight bass that’s rich without ever getting heavy. It’s nearly impossible not to be moved by the Zensor 3s’ take on the Inception soundtrack: the power on hand, combined with that scale, is deeply impressive. It’s an easy listen too, and never tiring. What we really like is the Zensor 3s’ nature. These are upbeat speakers. Music is handled with an infectious enthusiasm. We put it down to the combination of energy and punchy dynamics. Such was their authority and exuberance that we found ourselves rapt with attention. You also get plenty of detail and a high level of clarity. It’s easy to pick out the individual parts of even the most complex tracks. Play Atoms for Peace’s Ingenue and the bizarre percussion in the background is clearly a load of water drops. It’s not overly analytical, however. Disparate elements work together with excellent timing and organisation, and come across as a cohesive whole. If there is a tiny chink in the Zensor 3s’ otherwise incredibly shiny armour, it’s that they could be a touch more refined. It’s an expertly controlled performance with very high rhythmic precision, but in absolute terms, the sound isn’t quite as neat as the Award-winning Q Acoustics Concept 20. The Zensor 3s have a degree of messiness that, combined with its likeable energy, makes for a performance with panache. It’s just not the very last word on poise and precision. Then again, we were so busy having fun that this never really bothered us. We’re also fans of the look. They’re not particularly flashy, but they fit the part of a set of £300 boxes. The vinyl-coated cabinets are well built, and the glossy front adds a touch of sophistication. At the front you get the soft-dome tweeter from the Zensor 1s, and the seven-inch driver from the Zensor 7s. Round the back is a single set of speaker terminals, so there’s no biwiring here. The Dali Zensor 3s are a great success. More than that, they’re a treat. They don’t put a foot wrong, and they’ll occupy you for hours. If you’re after an affordable upgrade, these represent top value for money.